The plan was to get Talic spayed after her first planned litter, however we soon realized it was a little too late for that. Talic had her second litter. 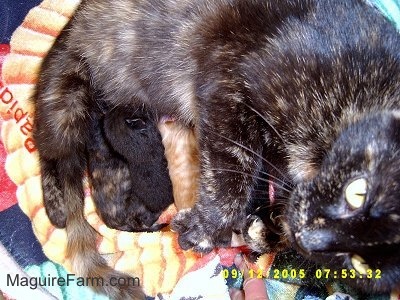 She had 4 kittens, 2 black, an orange and a calico. 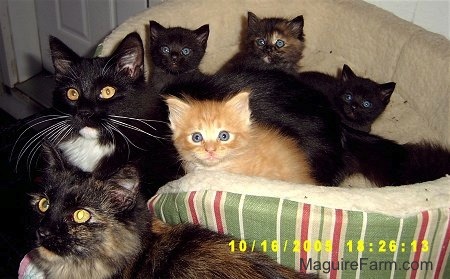 The calico is the only kitten who is named so far. Her name is Bobbi after Bob the tailless cat who passed away. Her real name was Snuffy, however we did not find this out until we had already been calling her Bob, because of her lack of a tail, for about a year. 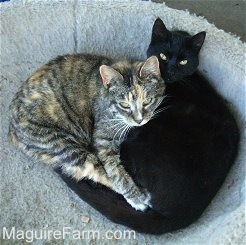 Bob was the tailless calico kitty who just showed up one day and never left. She was the cat who kept everyone in line, including the dogs. 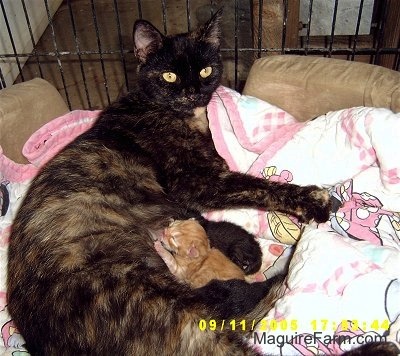 She protected and mothered any kitten she came into contact with, and continued to mother them even after they grew up. Bob was queen of all the cats. 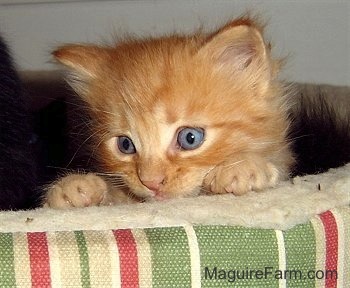 The kittens loved her and the dogs feared her; she ruled the Maguire Farm. She was in her high teens when she passed away and will be greatly missed. From Front to Back - Blizzard, Midnight the 4th, Sandy, Lucky, Bobbi, and Coco.